Shimla : Eight people were killed and at least 20 injured Monday when a vehicle fell into a gorge in Himachal Pradesh’s Bilaspur district , police said . All of them were women . 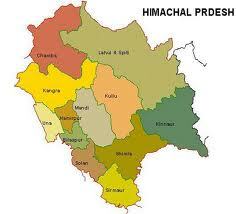 The accident took place near Namhol around 120 km from the state capital Shimla . The overloaded vehicle was carrying local villagers who were travelling to a nearby village to take part in a marriage function . Survivors said the driver lost control and the multi-utility vehicle rolled into a 50 feet gorge . Some of the injured have been shifted to PGI hospital Chandigarh . Overloading of vehicles is common in Himachal Pradesh and police and transport authorities are not known to check people .